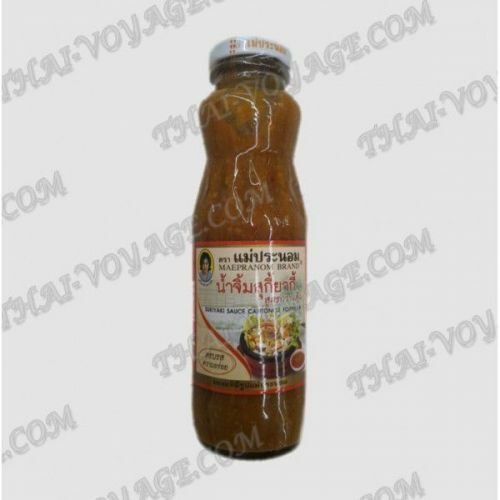 Thai Sukiyaki sauce is associated with the eponymous Japanese beef dish, widely spread throughout the world. The sauce is perfect for filling steamed, baked, boiled and roasted pork, beef and poultry dishes and fish. Composition: the sauce of Chile and tomatoes, sugar, seasoning sauce, sesame oil, garlic, chilli, salt, vinegar, sesame seeds. Contains no preservatives or artificial colors. Only natural ingredients. Shelf life 1 year. Store in a cool, dry place. Shake before use. After opening the sauce, keep the lid closed in the refrigerator for up to 6 months.